Comet C/2014 Q2 (Lovejoy) was discovered on 17 August by Terry Lovejoy, an Australian Astronomer. 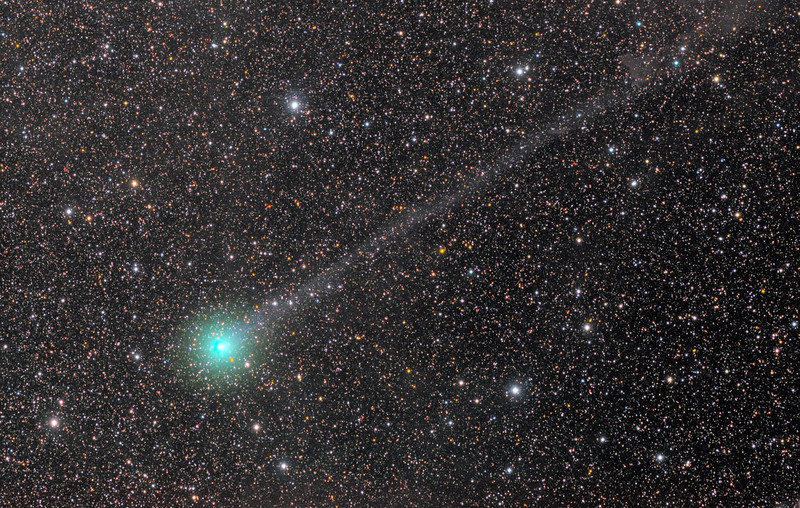 This is the 5th comet discovered by Lovejoy. The comet is a long-period comet with an estimated period of between 11,000 and 12,000 years. When discovered the comet was around 17th magnitude but as of early December 2014 the comet had brightened to around 6th or 7th magnitude. The comet is following a path that will take it past the bright star Rigel in Orion and near the Pleiades open star cluster. This graphic is set for 11 pm CST and shows the path of the comet at that time for December and first half of January. Here are a few pictures of the comet I was able to get. Here is a wonderful illustrated story about Halley’s Comet with the song “Halley Came to Jackson” by Mary Chapin Carpenter.